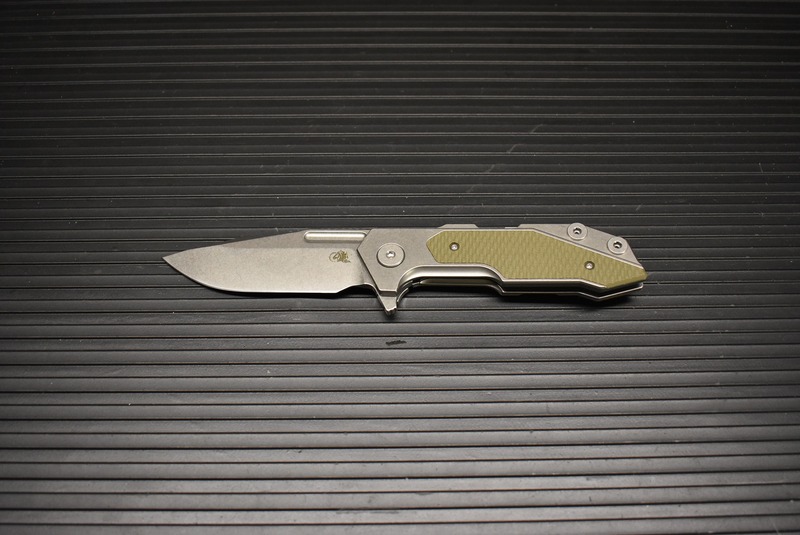 The long awaited Rick Hinderer Fulltrack folder. 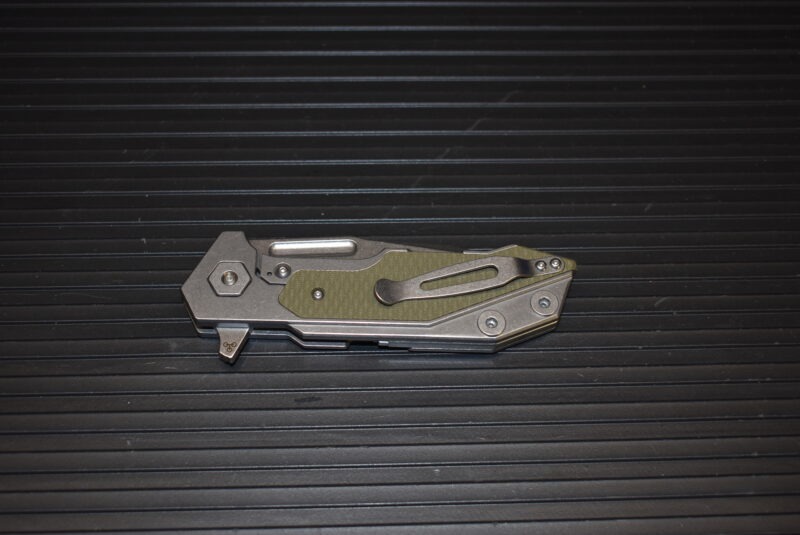 Hinderer has been working on this knife design for some time perfecting it before bringing it to market and it was worth it. This knife has many innovative design features. 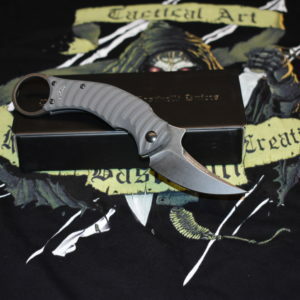 The Fullback won the prestiges “Knife of the Year Award” at the 2018 Blade Show in Atlanta. 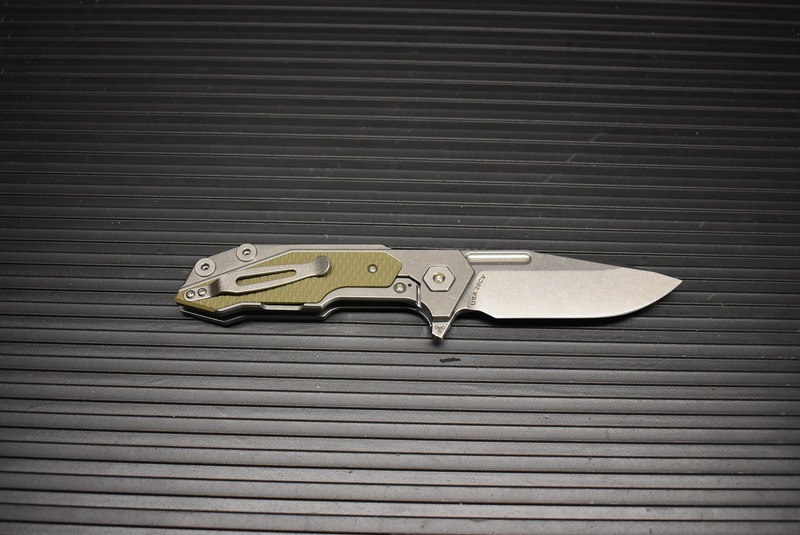 Big brother to the Halftrack, the Fulltrack is 1/3 larger with a 3.75″ flat grind spearpoint or spanto blade. Evolved from the XM-18 knife, the Fulltrack features CPM-20CV steel in a stonewashed finish to allow for greater corrosion resistance and also hides marring from everyday use. 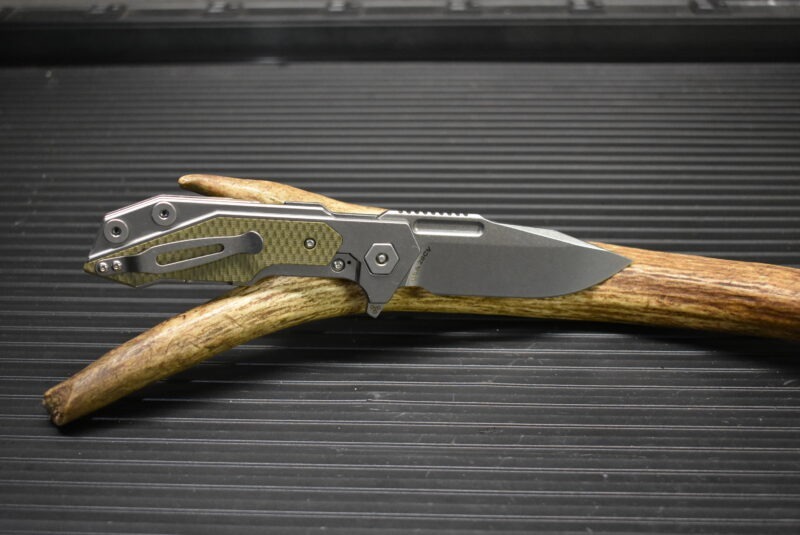 A very hardy, overbuilt flipper style with a titanium handle featuring the Frame Lock locking mechanism and a whole bevy of other innovative designs you won’t see on any other knife of its kind. The frame lock has a hardened steel lock bar interface. 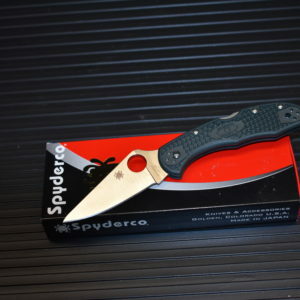 Incorporated into the standoff on the back of the knife is an easily removable specialized tool that allows the user to disassemble the knife, change out the washers, the handle inserts or tighten the screws. 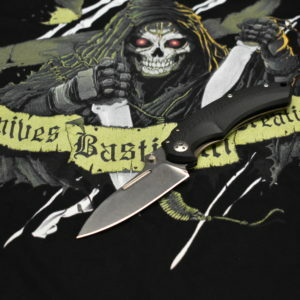 All three washers sets are included with the knife, so you can customize the flipping action. The G-10 handles inserts may also be changed to different colors etc. 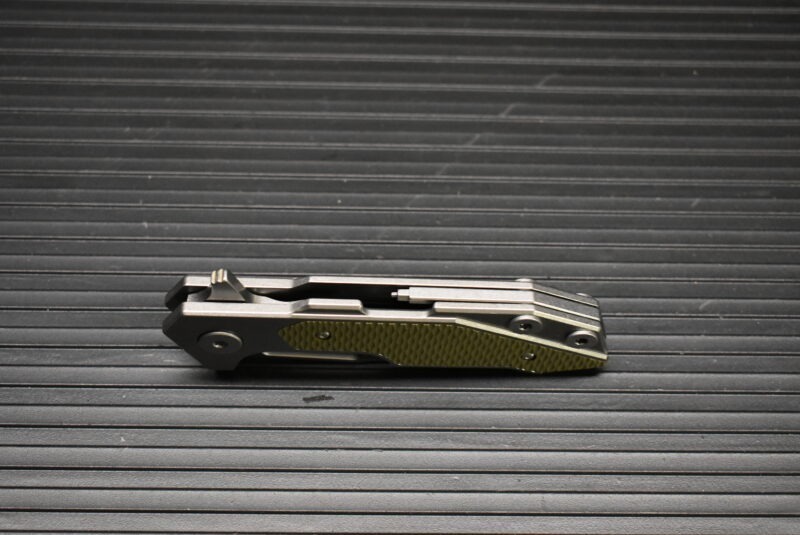 The Titanium pocket clip is mounted for tip-up carrying, but the Fulltrack also features a compartment on the handle which holds nylon, phosphor bronze, and the bearing washers! These three pivot options are referred to as the Tri-way-pivot by Rick Hinderer. Depending on the action you want, there is a washer that suits your needs, ready to switch out at a moment’s notice. 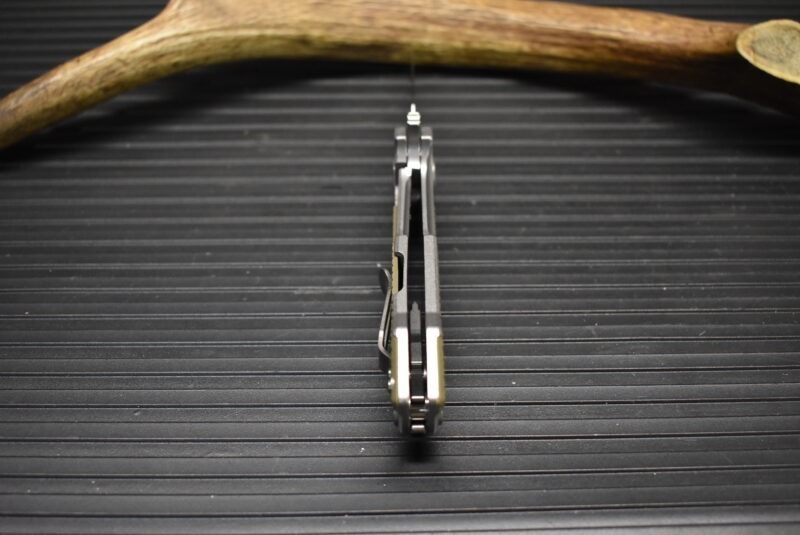 Perfect for everyday carry use or ready for work, camping, survival this Fulltrack can do the job. 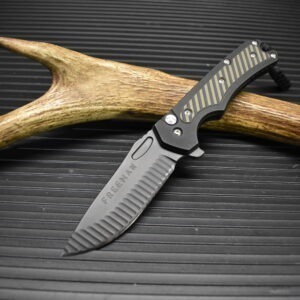 Great knife for military, law enforcement, and first responders! The .54″ thickness feels right in your pocket as well as your hand. 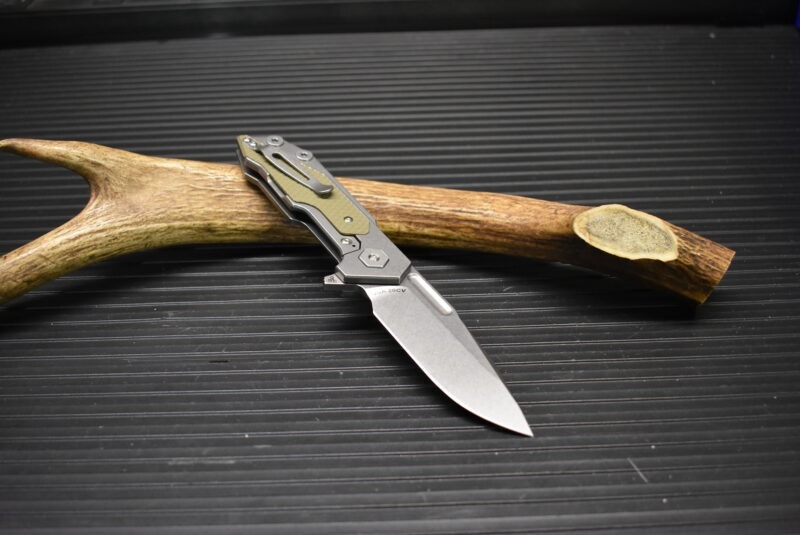 The overall length of the knife when opened is around 8.8″. 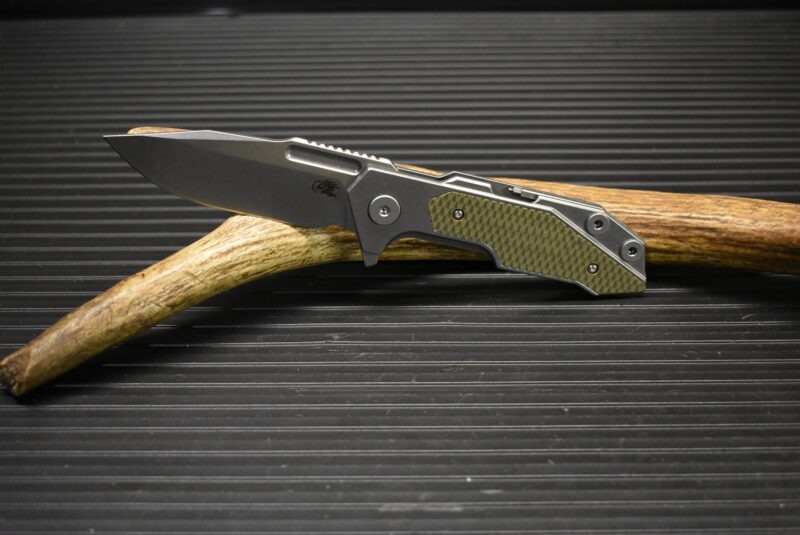 The 5.1″ 6AL4V Titanium handle with textured G-10 inlay is impressive to look at, as well as being strong and lightweight at around 6.9 oz. The blade features rugged jimping along the back for added traction when use of force as well as precision cutting is needed. 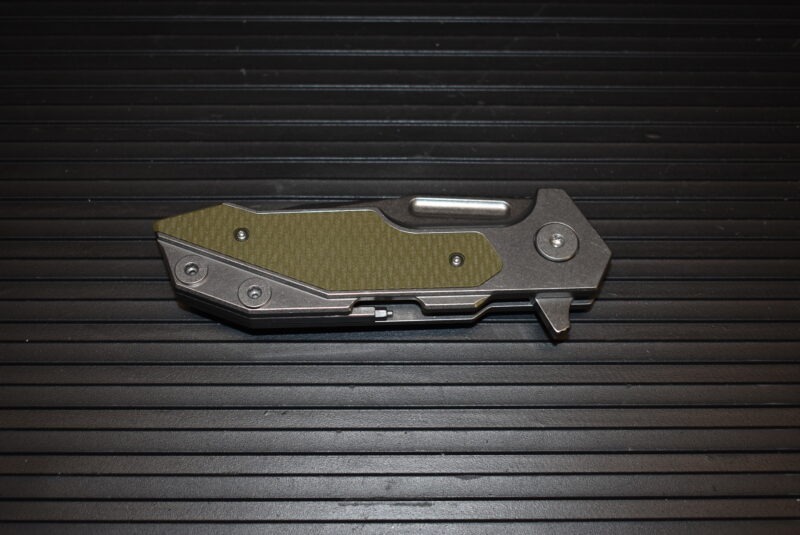 Lantac Knives is an authorized dealer for Rick Hinderer knives so assured of getting an authentic Hinderer direct from the mfg. 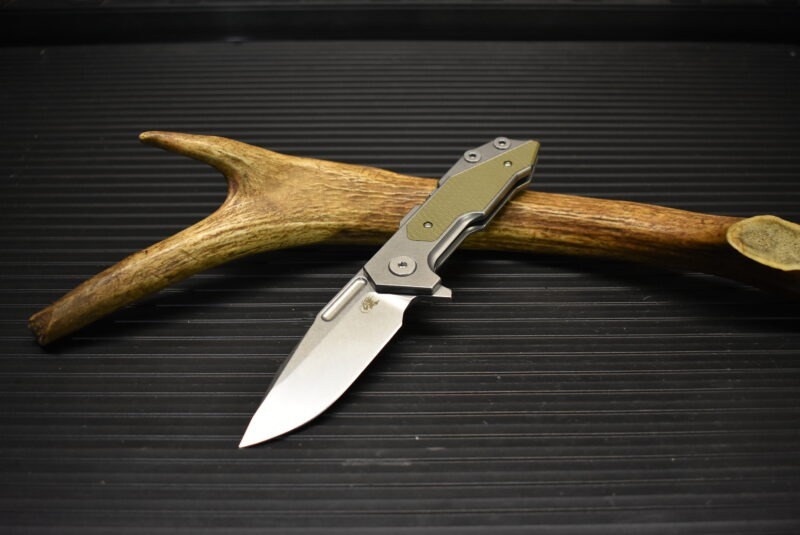 Hinderer knives come with a lifetime warranty.